It’s amazing when you think about how technology has changed our lives over the last fifty years. I can’t imagine living without a mobile phone or the internet, and as an author I can’t imagine writing an entire manuscript by hand. How I admire the numerous authors over the ages who have produced their masterpieces without having the luxury of the ‘Delete’ or ‘Save’ button! There are lots of studies and reports that speak of how writing longhand stimulates the brain in a way that typing on computers can’t, and many of my writer colleagues regularly construct their drafts on pen and paper, BUT I refuse to give up the luxury that technology offers me. I do jot down ideas, research topics, times lines etc in my trusty notebooks, but when it comes to writing the manuscript, it is my laptops all the way. So anyway, I have been fine with the regular word processors (Pages and Word mostly for me) so far. Before I get into the reason I say ‘so far,’ I should describe my project a bit. I am currently working on a book series, a pentalogy to be precise. The first two books are complete, the third has been drafted, but I will have to restructure about 10-15% of it. Book 4 is in the drafting stage, about 35% complete. The story spans a hundred years and there are quite a handful of characters. It was quite a large project to begin with, but now as I start to prep for the third book, the amount of data has suddenly started to feel a bit overwhelming. Don’t get me wrong, I love wrangling it, but I would be lying if I didn’t admit the weight of it. Now, what exactly is this struggle? I do not always write in chronological order. One day, I may feel inspired to write an action scene, on another I might feel like writing a scene with a little romance. Sometimes I know exactly where these scenes will fit, sometimes I don’t. Even when I know, I sometimes change my mind and want to move it to a location where it feels more effective. I find it hard to manage these scenes and track them. MS Word, the marvelous tool that it is, does not give me anything but discrete files to maintain and only my brain keeps track of where I stashed those scenes when I was not actively using them. Second, managing the research documents. I mostly do my research on the net and I try to keep my findings in a favorites folder. But again, as the project grows bigger, finding the relevant documents right when I need them, gets harder and harder. Over the years I have come to agree about one thing wholeheartedly with my better half-if you want to get a job done well, choose the best tool you can afford. So, I went looking for that tool, because I realize that my struggle is only going to compound as I get deeper into the series. During my search, one name kept popping up over and over, Scrivener from developer Literature and Latte. 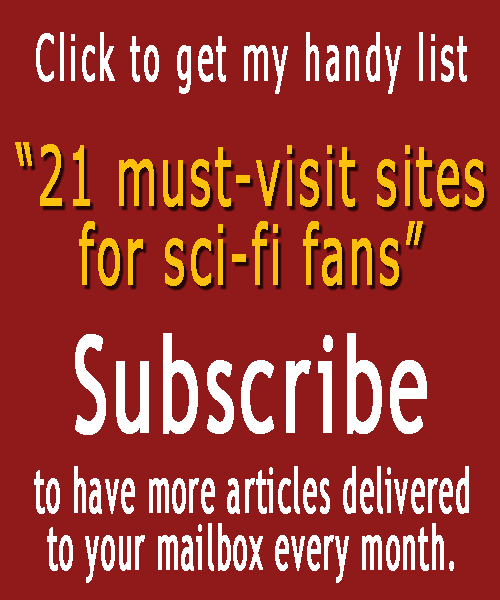 Scrivener, I found out just by reading the reviews, has a zillion features that even regular users sometimes do not know about. That sounds great already, it is loaded. However, I needed to know whether or not it will be my personal redeemer. The first ‘Oh YES!’ moment was seeing the ‘Binder.’ Scrivener stores all files that you might be working on while writing that novel in a project, that’s called a binder. This binder lets you to see all the documents the project file. You can select a document and view it through the binder, you can also move these documents around within the binder. These documents could hold anything and you can title them appropriately to find them easily later. So I could have research and my drafts organized and compiled in one file. That’s WOW! While that took care of some of my biggest issues with flat word processors, I still wasn’t sure until I saw the corkboard view (snapshot from Literatureandlatte below). I LOVE corkboards! Corkboards hand on every wall surrounding my writing desk and I love pinning notes, pictures, quotes for insipration, research information, ideas, questions, to-do lists . . . a bit of everything. 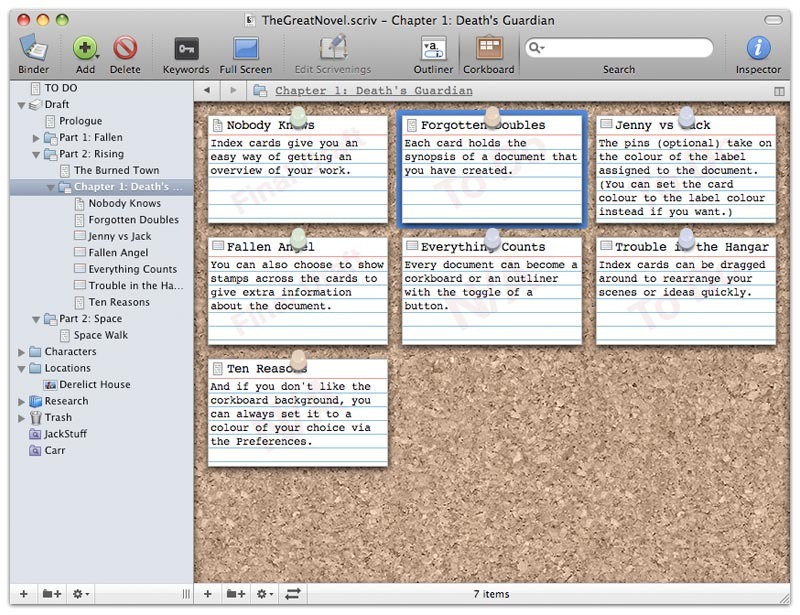 Seeing, Scrivener has a fantastic corkboard that can be linked into the binder-well, that sealed the deal. There are so many other features and I could go on and on and on, but for the sake of my sanity and that of the readers’, I will start winding down. 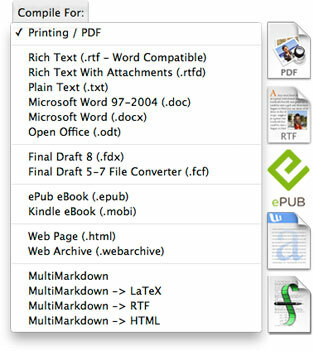 A couple of features that I love – Exporting options (snapshot from Literatureandlatte below), including Microsoft Word, RTF, PDF and HTML. Ebook options made easy by exporting to ePub or Kindle formats. I don’t see a big need for this myself at this point in my writing project, since I already have a robust template for both print and ebook versions, but I would have treasured it when I was getting my first book ready. Another great feature-the progress tracking tool (snapshot from Literatureandlatte below). Most writers like to set targets and measure progress, some like to even set writing routines with a fixed number of words write. 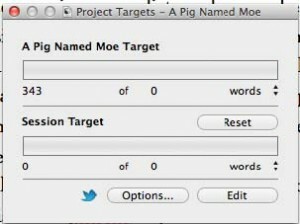 Scrivener makes it easy to track how much of those targets you have achieved. There are Project targets (for the entire project) and Session target (for the current writing session), and they are customizable. Nice, right? All in all, I’m finding Scrivener very enticing and at $40 for the Windows version/$45 for the Mac, I think it is quite a great value for the money. The developer also offers a 30 day free trial, which is an awesome risk-free carrot IMO. Come December 20, when I’m done with the Book 2 Launch Week brouhaha, I’m definitely taking the plunge with Scrivener. There will definitely be issues that I will come across and everything won’t always be kittens and rainbows. I will continue to do the serious drafts (starting Alpha readers’ one) in Word. But I believe that during the outlining phase, and the early pre-draft to first draft, I can get a good deal out of this software. Hey, I could be that pal of his, writing that complicated scifi novel and although I won’t be throwing out MS Word anytime soon or possibly never, I’m definitely looking forward to giving Scrivener a try.